Since 400 years ago, Hoi An Ancient Town has been a crowded trading port for traders from all over the world, creating a diverse culture. 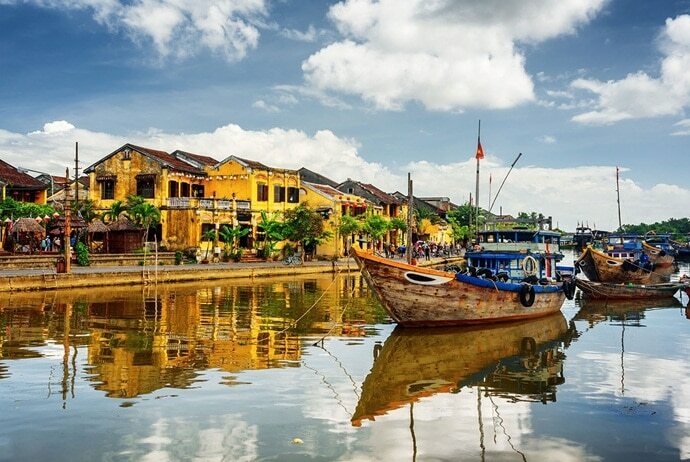 Today, Hoi An is one of the rare ancient cities which are still preserved almost intact. Hoi An Ancient Town is always ranked as the no.1 position in the list of Vietnam’s tourist destinations for many reasons. This small town is an intersection of East-West culture. It is an elite combination of Vietnamese, Chinese, Japanese and European cuisines, architectural styles, and tradition. With charming nature and a favorable location, Hoi An is always chosen by many visitors when visiting the central area of Vietnam. If you are interested in the nostalgic and peaceful atmosphere of this small ancient town located adjacent to the Hoai River, then you should not skip reading our article. Here we will answer some of the most common questions that first time visitors have when traveling to Hoi An ancient town. Let’s check it out! What Is The Weather Like In Hoi An Ancient Town? The 14th of the lunar month: It is great if you come to Hoi An ancient town at this time. On every 14th of the lunar month, all families in Hoi An Ancient Town will turn off the lights and fire up the lanterns. Therefore, you will have the opportunity to admire a mysterious scene that is normally only seen on TV. Moreover, the festivities and special performances held in this day will not make you regret coming to Hoi An around this time. From February to April: During this period, the weather in Hoi An is especially cool and pleasant, which is suitable for those who want to come here to relax. 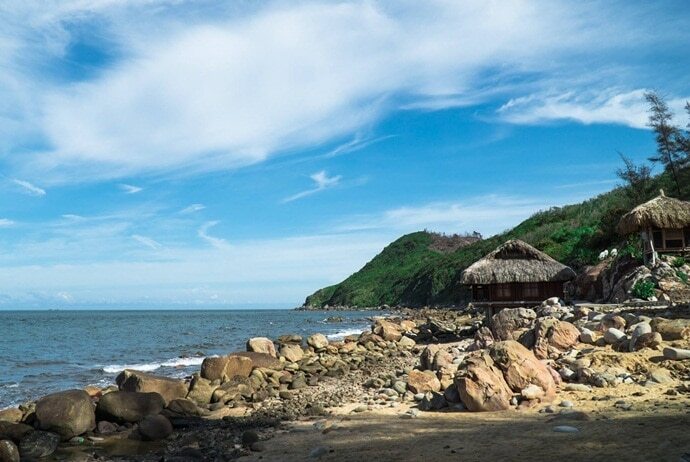 From May to July: This time is near the end of the dry season in Hoi An, so the weather is great for you to enjoy the sea and visit Cu Lao Cham (Cù Lao Chàm). It is also the ideal time to travel to Hoi An because the weather is suitable for sightseeing activities. From October to December: If you want to experience a boat ride in Hoi An Ancient Town, come here at this time because it is the beginning of the rainy season in Hoi An. The old town is submerged in water, so people have to travel by galley. However, travelling to Hoi An at this time, your travel plans will probably be affected by the rain. So consider carefully before going. How Can I Get To Hoi An Ancient Town? Actually, Hoi An ancient town has no train station and no airport either. Thus, the only way for tourists to get there is just by road. For the most convenient trip to Hoi An, you can take a plane to Danang, then take a bus or taxi to Hoi An. Flights from Ho Chi Minh City, Hanoi or other provinces to Danang only takes approximately 1 hour. A one-way ticket range of about 400.000VND – 1.600.000VND. Taxi: It is easy to take a taxi at Danang airport. It only takes 45 – 55 minutes to go from the airport to the Hoi An Ancient Town with the cost of 350.000VND – 450.000VND. Bus: You can take bus no.1 (Da Nang bus station – Hoi An bus station) to go to Hoi An with the cost of only 25.000VND. Just like traveling by plane, if traveling by train, you will stop at Danang Railway Station or Tra Kieu Station (Ga Trà Kiều). 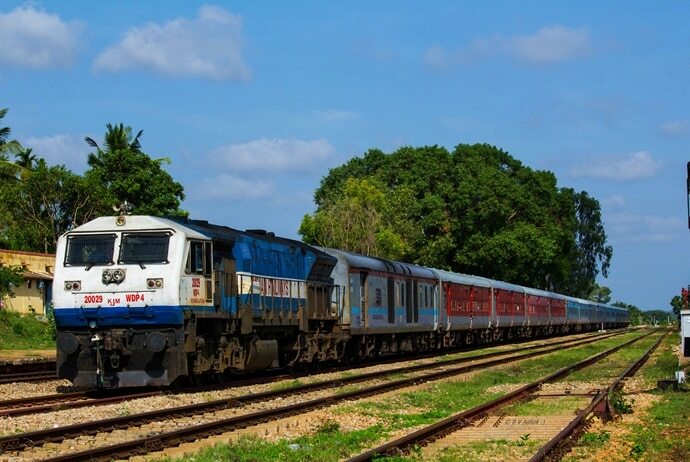 The train from Ho Chi Minh City or Hanoi to Danang takes 15 – 20 hours and the fare is from 230.000VND to 2.224.000VND, depending on the itinerary and type of seats. If you want to go to Hoi An without visiting Danang, you can take the coach from Ho Chi Minh City or Hanoi City to Hoi An. The most popular coaches that you should choose are Hanh Café, Thien An, and The Sinh Tourist, with prices ranging from 320.000VND to 480.000VND. Follow Highway 1 to the South, turn to Vinh Dien (Vĩnh Diện). In this direction, you will visit Bang Anh Cham Tower. Cross the Han River Bridge, follow the provincial road Da Nang-Hoi An. This route will be convenient for you to visit Ngu Hanh Son (Ngũ Hành Sơn). How Can I Get Around Hoi An Ancient Town? Hoi An ancient town is a popular tourist destination, so you can easily rent a motorbike here with the cost ranging from 120.000 to 150.000VND / day. The best way to get around this old town is to ride a bicycle to feel the peace of the town. Some hotels in Hoi An also offer free bicycles. You can also rent a bike for about 40.000 VND / day. In Hoi An, cyclo is still a featured image. You can take a cyclo on Phan Chau Trinh (Phan Châu Trinh) street for 150.000VND / hour. Hoi An has some familiar taxi firms: Mai Linh (Telephone number: 0235.3.92.92.92), Taxi Hoi An (Telephone number: 0235.3.91.99.19), and Faifo (Telephone number: 0235.3.91.91.91). For a city tour, do not miss the opportunity to take a boat trip on Hoai River (Sông Hoài) or Thu Bon River (Sông Thu Bồn). You can easily catch a boat right at the river station in the center of the old town. Where Could I Stay In Hoi An Ancient Town? There are two main areas that tourists prefer to stay, which are hotels in the Old Town or near the sea. Hoi An is a perfect place for those who want to find a hostel or homestay in order to enjoy a local experience. The homestays in Hoi An have beautiful designs. They will surely give you a different experience and chances to take beautiful photos. Villas and resorts are perfect choices for those who are looking for a luxury vacation. Whether in the bustling center of the old town or in a quiet area away from the center, you will still be served with professional services and the most luxurious facilities. What Are Worth-Visiting Attractions In Hoi An Ancient Town? Address: Nguyen Thi Minh Khai (Nguyễn Thị Minh Khai) – Tran Phu (Trần Phú) Street, opposite to Hoai River. Considered a symbol of the old town, this bridge is the best evidence of the cultural diversity of Hoi An. It has a statue of Bac De Tran Vu (Bắc Đế Trấn Vũ), the god who protects the land and brings good things to local people. Address: 35 Tran Phu (Trần Phú) street, Minh An Ward, Hoi An, Quang Nam Province. Opening hours: 07:00 – 17:00. 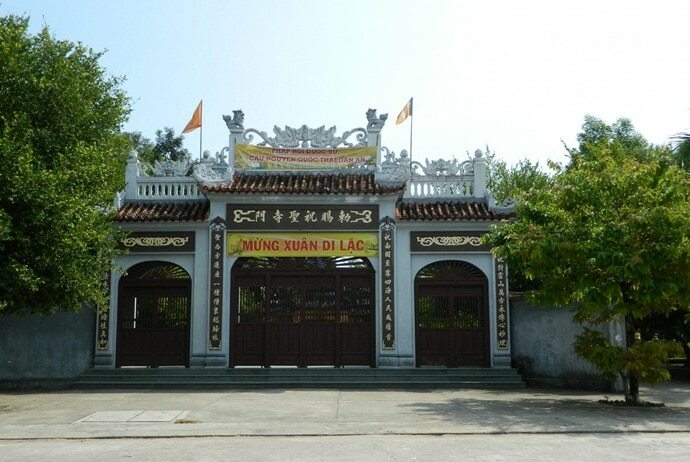 Phuc Kien Assembly Hall is a place to worship Thien Hau Thanh Mau (Thiên Hậu Thánh Mẫu). It is where Chinese businessmen often visit to pray for a convenient and safe trip. After many restorations, the hall still retains architectural characteristics and brings the sacred. Actually, this is prominent stop among international traders dating from the 16th to 18th centuries. It is located on Thu Bon River’s banks. There are lively bars, restaurants, and bistros in the waterfront area, in which tourists can enjoy fresh seafood, cocktails, beers, cakes and coffee. Many local boats charter at the docks, so you can easily hire them for going fishing or cruising along the river. An interesting about Hoi An Riverside is that during festivities, there are hundreds of hand-crafted lanterns illuminating the verandas as well as windows of shops and the wooden bridges. Another experience that you should not skip is to go shopping in Hoi An Riverside. Strolling along this area with a variety of shops which sell quality goods and taking your time to contemplate the artists painting stunning oil paintings or craftsmen who transform a big log into a huge Buddha. If you have a chance to visit Hoi An Riverside, taking part a cooking class is a worth-trying experience. Here you can learn to cook some simple specialties of Hoi An at some riverfront restaurants. Not only will it help you know how to process Vietnamese traditional dishes, but it will also give you a chance to understand much more about Southeast Asian spices as well as tropical products. Address: 157 Nguyen Duy Hieu (Nguyễn Duy Hiệu) Street, Hoi An. The Trieu Chau Assembly Hall was built by the Chinese State around the mid-19th century to worship Ma Vien Phuc Ba Tycoon (Mã Viện Phục Ba Tướng Quân) – a good God helps to prevent the trouble of the sea and make the trade smooth. Tan Ky ancient house: 101 Nguyen Thai Hoc (Nguyễn Thái Học) street. Quan Thang ancient house: 77 Tran Phu (Trần Phú) street. Phung Hung ancient house: 04 Nguyen Thi Minh Khai (Nguyễn Thị Minh Khai) street. Church of Tran tribe: 21 Le Loi (Lê Lợi) street. Hoi An ancient houses are usually built entirely of wood, yin-yang tile, divided into many halls. They are the places of living and working for generations in a family. Address: Nguyen Hoang (Nguyễn Hoàng) Street, near Hoai River. Operation time: 17:00 – 23:00. Hoi An night market is an evening entertainment venue you should not miss. Located on Nguyen Hoang Street, this place concentrates on interesting things about Hoi An. Many handicrafts, food stalls, and souvenir stands are on sale here. You can also have beautiful pictures of the sparkling space of colorful lanterns in this market. Address: 26 Phan Boi Chau (Phan Bội Châu) street, Hoi An, Quang Nam (Quảng Nam) Province. Opening Hours: 08:00 – 20:00. Hoi An owns the museums of both culture and art, which attracts a large number of young visitors. Réhahn’s Precious Heritage Museum is a private museum featuring portraits photographed by French photographer Réhahn during his Vietnamese exploration. Each photo is a human story that is reproduced under the lens of art. Address: 56 Nguyen Thai Hoc (Nguyễn Thái Học), Minh An, Hoi An, Quang Nam. Opening Hours: 07:00 – 23:00. If you are a traditional Vietnamese art lover, especially Tuong, you should not ignore Cotic. With the desire to save a beautiful culture – art of the country, Cotic pay attention to every corner of the small layout and bring a space that is full of Vietnamese identity. Dating back the late 17th century, Van Duc pagoda was built with the aim to become a destinatioj for locals pray to Buddhist deities like Dia Tang (Địa Tạng) Bodhisattva, Amitabha, and Avalokitecvara Bodhisattava. This pagoda is hailed as one of the oldest Buddhist temples of Hoi An ancient town. It has yellow color with three worship halls, paintings of deities, intricate animal sculptures, a lot of shady trees, and potted plants. The peaceful surroundings attracts a large number of tourists visiting to marvel at such a well-preserved architecture, get the fortunes told or pay their own respects. This pagoda was built in 1454 and is the oldest Buddhist pagoda in the old town. Chuc Thanh pagoda is featured with a combination of Vietnamese and Chinese architectural styles. 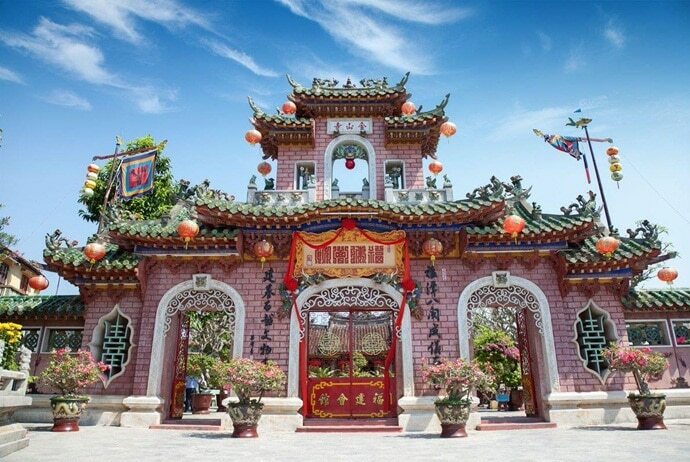 Regarded as the place where “Thien Lam Te” (Thiền Lâm Tế) religion was formed, this pagoda is also home to antique ritual objects like a carp-shaped wooden gong, a stone gong of 200 years old, and some bells. Address: Block 5, Thanh Ha (Thanh Hà) Ward, Hoi An (located on the Thu Bon River (Sông Thu Bồn), 4 km from the center of the old town). Ticket price: 15.000 – 25.000 VND / ticket. This 600-year-old pottery village is even more famous than Thanh Ha Landing Park, which includes miniature ceramic wonders. It is also the largest pottery park in Vietnam. Address: Trung Ha (Trung Hà) Village, Cam Kim (Cẩm Kim) Commune, Hoi An, Quang Nam. You should not be surprised to know that Kim Bong Carpentry is one of the most prominent elements making up the greatness of the Hue Citadel. Today, when visiting Kim Bong, you can still see the process of making the wood art. Address: Cam Ha (Cẩm Hà) Commune, Hoi An (from the old town center, go straight to Hai Ba Trung Street). Opening Hours: 07:00 – 21:00. For those who like ecotourism, Tra Que (Trà Quế) Vegetable Village is definitely a destination that cannot be missed. It is just a few kilometers from the center of the old town and is an organic vegetable garden. 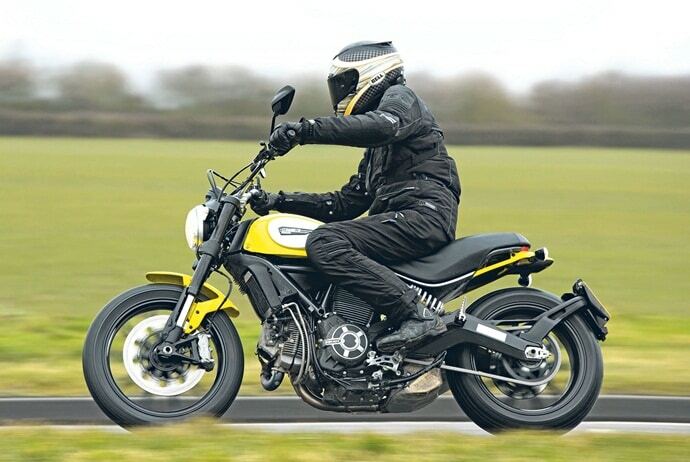 Address: Route 608, 5 km east of Hoi An ancient town. Cua Dai is always the first name when it comes to the beautiful beaches of Hoi An. After a year of improvement, Cua Dai Beach continues to open its doors to visitors with its clear blue waters and fine sand. Address: Hai Ba Trung (Hai Bà Trưng) Street, Cam An (Cẩm An) Ward, Hoi An (3 km from city center). Being famous for its tranquil beauty, An Bang Beach has ranked one of 25 most beautiful beaches on Trip Advisor. What To Eat In Hoi An Ancient Town? Hoi An is an intersection of many cultures, so the cuisine here is diverse. Actually, this old town is famous as a destination for many food lovers. Though Vietnamese food here is tasty but there are also some great Asian, Western restaurants that tourists can try on. When coming to Hoi An, you should not miss some specialties such as Hoi An Cao Lau (Cao Lầu), Bao cake (dumping cake), Vac cake (bánh Vạc), Dap cake- fried mussel, Corn sweet soup (Chè bắp), Banh Bèo (Bánh bèo), Quang noodles (Mì Quảng), wonton soup (Hoành Thánh), wonton noodles, wonton chips, stuffed pancake, and Hoi An pancake. Generally, Vietnamese food is not spicy because it does not contain much chili. There are many options for you to try Vietnamese foods in Hoi An. You can enjoy Hoi An foods in restaurants, in the market or even on street. There you have detailed answers for the most common questions that first time visitors have upon visiting Hoi An ancient town. Hope that you have found a helpful guide for your upcoming trip to Hoi An. Let me know any of your questions you may have by dropping your words below this post! Vietnamese Street Style Snails - What & Where To Enjoy In Hanoi?